Having a custom-made garage door can radically change the look and feel of your home. In this post we’ll explain the top reasons to consider getting a custom made door today. Imagine you have just built a home with a very unique design, so unique in fact that the garage built into it isn’t the standard size, and the average garage door won’t match. In this instance, finding a garage door at your local door dealer might be a total waste of time and energy. This makes sense: you shouldn’t expect to find a door that fits perfectly when your garage doesn’t follow standard dimensions. In this case it’s best to get yourself a custom-made garage door – plain and simple. All you have to do is get a door company to come over and take the measurements of your garage doorway and any other requirements you may have, and the rest is history! Okay, I guess the first option isn’t your situation. You’ve got the perfect door with standard dimensions, which you can get pretty much anywhere. All is well and good – or is it? No, you totally hate what you see in garage door stores; the patterns and colors are, in your opinion, bland and lack appeal. If this is your situation, no worries a custom-door is the way to go. You probably have unique texture and colors you’d want your garage door to have, all you need do is tell the door company what you have in mind and let them do the rest. Pop quiz: what’s the first thing that comes to your mind when we say, “garage door”? Let us guess: you probably had a mental picture of a white or grey door, perhaps with a window but nothing more. But that’s not all to garage doors. They can be transformed from the everyday door into castle doors, city gates, and some can be designed to look like they are made out of wood, or perhaps something else that you desire. If you have an idea of a design that isn’t too outlandish, then you can get your door custom-made in that design. Maintenance for Your Garage Door – Why Bother? If your garage door is unable to continue working properly for whatever reason, our professional technicians can help. 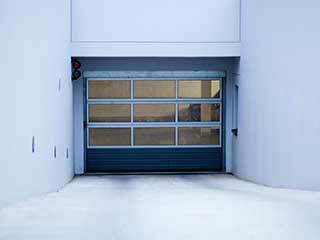 We have a great deal of experience both repairing and installing overhead doors and openers of every make and model. To learn more about us and how we can help you today, check out the rest of our website. Thank you for choosing Garage Door Repair Cedar Hill! One of our experts will be in touch soon. Feel free to browse our website for FAQ, tips and more useful information in the meantime!